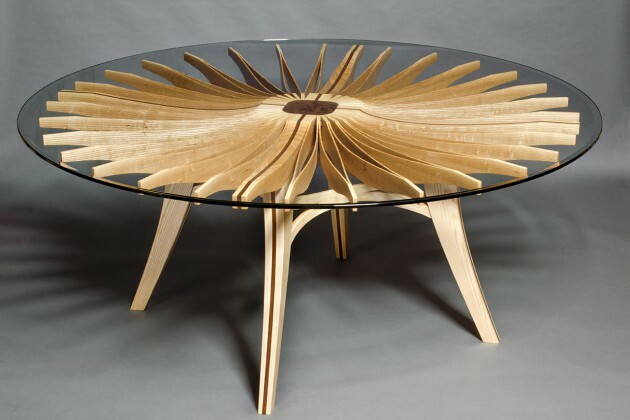 The Oxeye Hall Table is a solid wood and glass table created from one continuous piece of wood, cut, sculpted and opened like a flower. 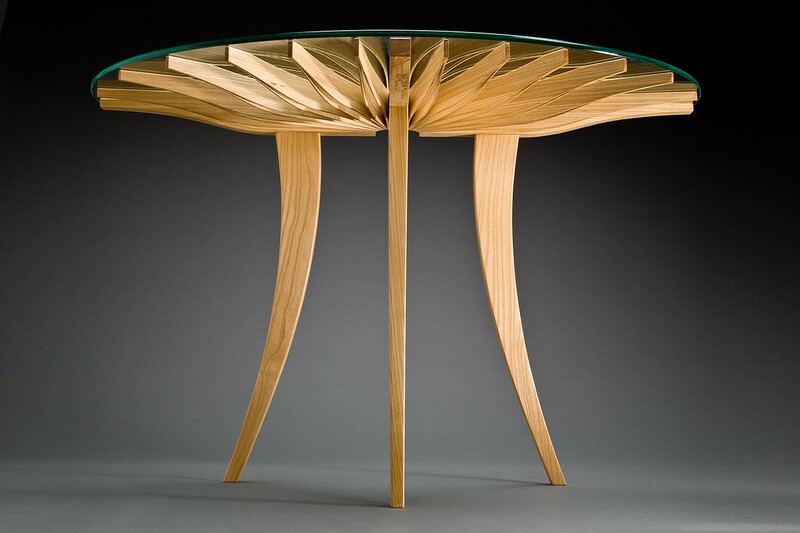 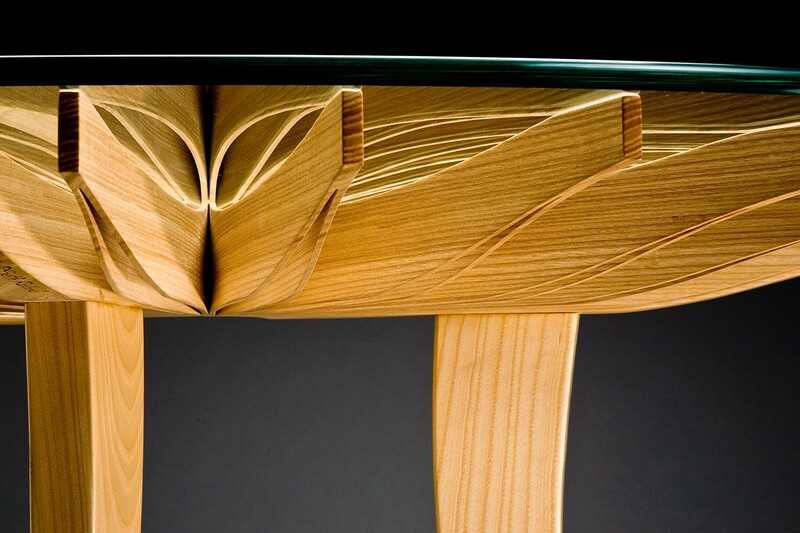 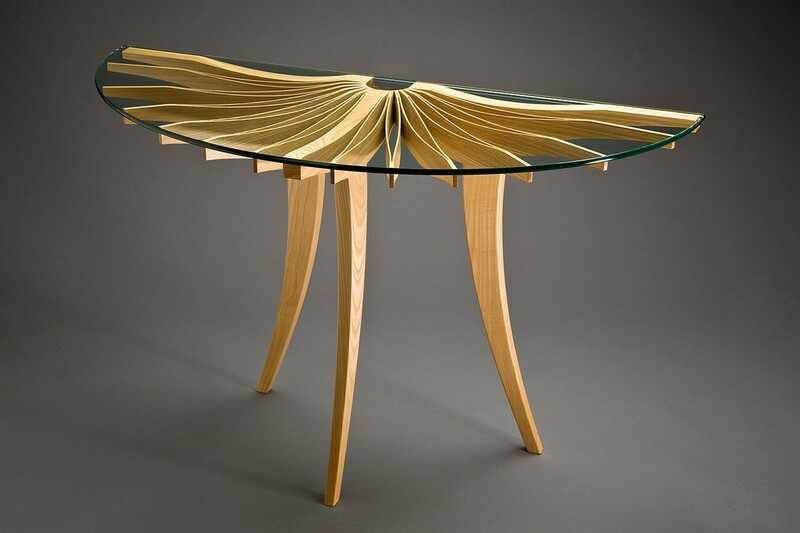 This table is named for the Oxeye daisy, which has a beautiful symmetry and dark center. 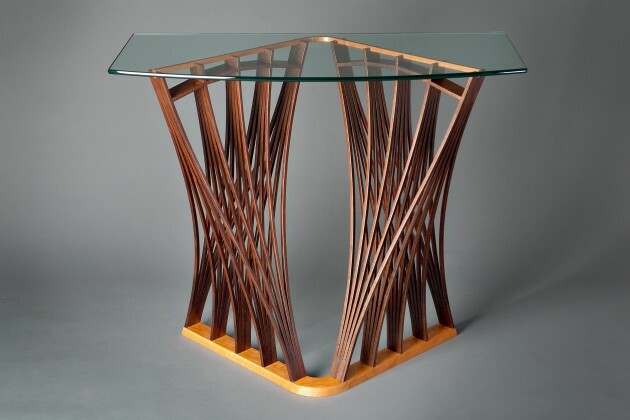 The Oxeye Hall Table is available in a variety of woods and can be proportioned to serve as a side table, display table or console, entry or hall table. 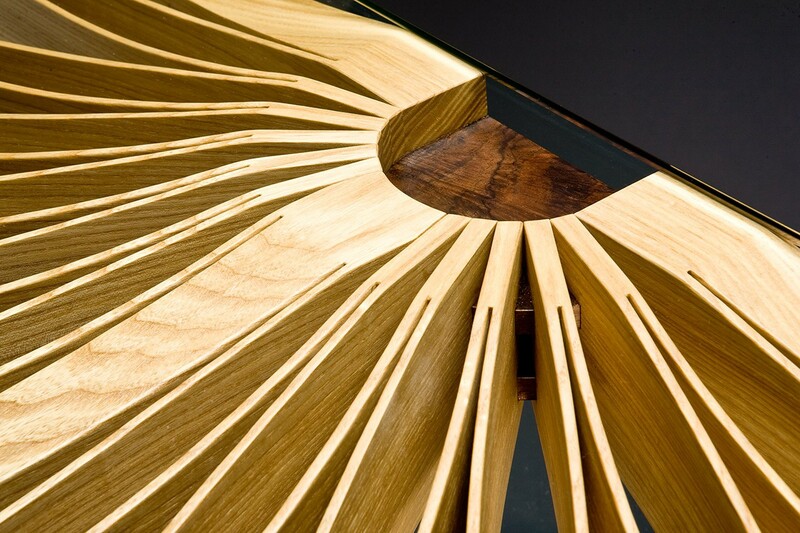 The latest version in this series is the round Corona Dining Table.